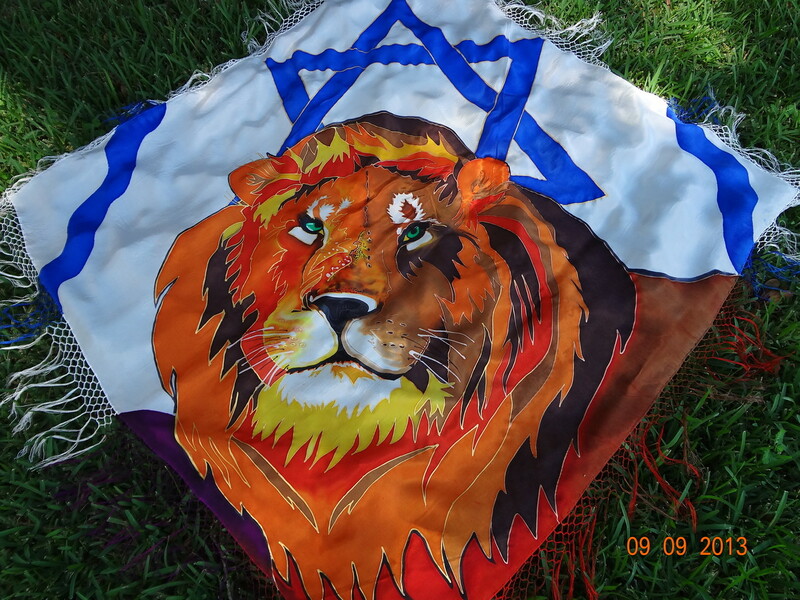 Lion/Star of David Prayer Shawl - 3 Strand Cord Silks - Glowing Silk Flags & Billows based on the Bible, Jesus and His Church, to enhance your worship of God! Stunning design ~ Beautiful Lion with gentle expression looks out at the viewer, while a large blue Star of David is featured behind him. Fringe is 7" all the way around, and dyed to match the design ~ all on glowing silk that feels heavenly! Shawl is about 45 x 45" plus the 7" fringe.